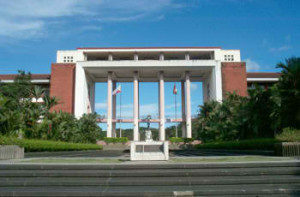 Quezon City List of public universities around the Philippines that are funded and run by government authorities. These institutions are created by acts of the Philippine Congress. Public universities include State universities which are directly controlled by the national government and Local Universities which are run by local government authorities. All universities in the Philippines are required by law to offer at least eight undergraduate degree programs in addition to a PhD and a Masters program. All programs offered in public universities must be endorsed by the Philippine Commission on Higher Education (CHED) which is a government body tasked with monitoring the quality of all post-secondary education programs.